Windows offer so much more than just a great view. They’re essential for maintaining comfortable indoor temperatures, reducing noise pollution and lowering energy bills. With such a wide variety of options available, it’s easy to find quality new construction or replacement windows to fit almost every budget, whether for a new build or to update an existing home for maximum curb appeal. Here are five factors to look at when selecting the best windows for your next project. Three alternatives include single-pane, double-pane and triple-pane windows. Single-pane: Mostly found in older buildings and in mild to warm climates, single-pane windows are considered outdated for most projects. Double-pane: A sealed space between two panes includes an inert gas for better insulation against both hot and cold temperatures. Triple-pane: Sealed with gases including argon or krypton, triple-pane windows offer superior insulation for homes in extreme cold climates. 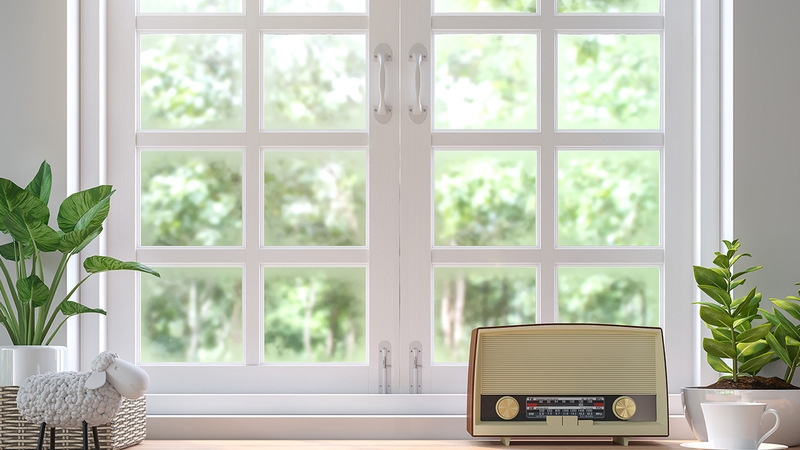 Double- and triple-pane windows provide excellent sound insulation, which is a big advantage in urban neighborhoods. When choosing window frame materials, considerations include durability, insulating properties and maintenance requirements. Wood: Frequently used in remodels, wood helps to retain the classic look of an older house, but may require more maintenance than other options. Aluminum or vinyl: These attractive and budget-friendly materials are popular for new construction. They insulate well and typically require less maintenance than wood. Fiberglass: Stronger than vinyl, fiberglass performs well in areas prone to weather-related damage. Although somewhat expensive, fiberglass offers excellent insulation for attractive energy savings. Eco-friendly windows offer many benefits including durability, comfort and lower utility costs. Here are some numbers to know when gauging the energy efficiency of windows. U-Factor: This tells you how well the window conducts heat. Values range from about 0.25 to 1.25, and the lower the better. Solar heat gain coefficient: Expressed in values between 0 and 1, a lower number means that the window is better at blocking unwanted solar heat. Visible transmittance: The higher the number, the more natural light comes in, with values ranging from 0 to 1. This enables less reliance on artificial lighting during daylight hours. Current design trends include big, modern windows that let in lots of natural light, a nice mix of complementary shapes and dark colored frames. Other options work well depending on the overall look and feel of the home. Double-hung: One of the most common designs in America, double-hung windows slide up and down, and some models tilt for easy cleaning. Casement: These windows pivot on hinges and open like doors, providing excellent ventilation. Sliding: As the name implies, these low-maintenance windows open much like a sliding glass door and offer an excellent view of the scenery outside. Bay: Ideal for dining and seating areas, bay windows let in lots of light and make almost any room feel more spacious. Selecting the best materials and designs available means nothing if the windows are not installed correctly. In fact, poor installation may even void the warranty. If you’re trying to find the right windows for an upcoming project, reach out to us at Mid-City Lumber. We offer a wide selection of quality windows from the industry’s most reputable manufacturers, and our friendly experts will help you choose the best option for your job.